My first day in the picturesque Andean town of San Carlos de Bariloche, Argentina did not feel promising. I arrived exhausted and dirty after a 20 hour bus ride from Buenos Aires, not including the four hours we spent broken down along the side of the road. I was traveling alone, and to top it all off, it was my birthday. After a dinner of unfortunately overcooked raviolis, I trudged through the rain back to my hotel. 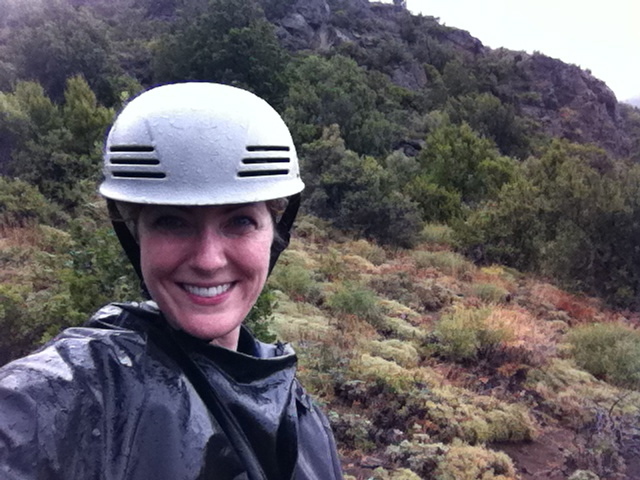 The soggy deluge did not bode well for the morrow–I had decided it may be fun to try something entirely new for the first day of my 32nd year, so I had booked a day-long horseback riding excursion through the Andes Mountains. The morning dawned gray and misty, but when I arrived at the lakeside ranch, the horses tromped heedlessly through the mud of their pen, snorting happily and munching on fresh hay. The little band of tourists riding that day consisted only of myself, a Canadian couple and another solo female traveler from Switzerland who enthusiastically commented that our gaucho guide resembled Brad Pitt from his Legends of the Fall era. None of us had ridden a horse before, so the ascents onto the backs of our noble steeds were less than graceful, but eventually we set off. 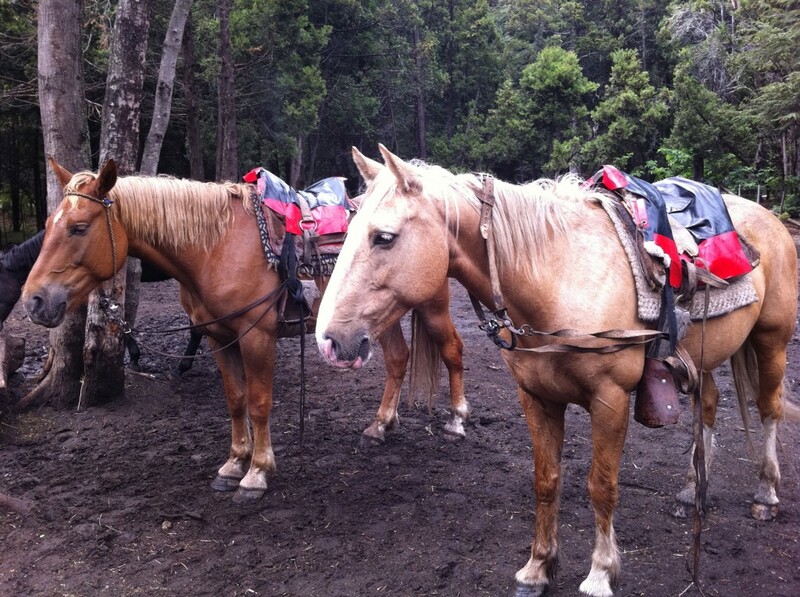 The trail ride wound through verdant pastures studded with snow dusted peaks jutting skyward in the hazy distance. Waterfalls plunged from hidden crags above ice blue rivers straight out of Lord of the Rings–I could practically see the hobbits and elves frolicking merrily through the forest. The rain, though it had blessedly held off most of the morning, turned to hail in the afternoon, pelting us relentlessly, but we were on the top of the mountain by then, with nothing to do but press on. 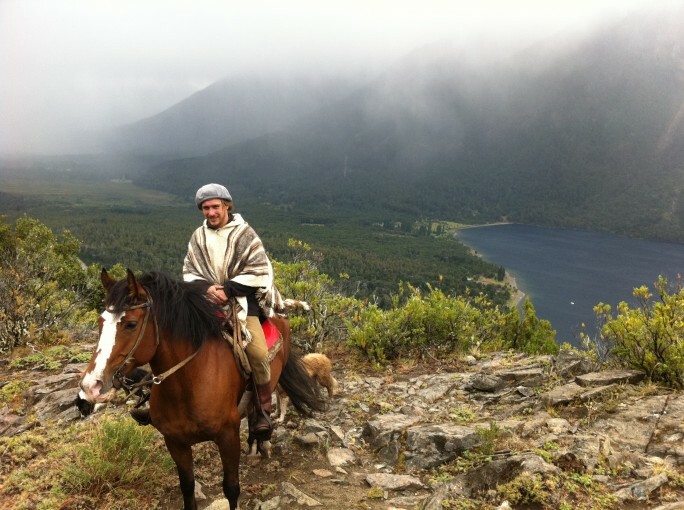 Meanwhile, Nicholas, our gaucho guide, took no notice of the weather. Instead he merrily smoked cigarettes with one hand while hacking at low hanging branches with his machete in the other–all while astride the back of his horse. Despite Nick’s traditional South American cowboy appearance, he claimed to be a modern gaucho because he owns an iPad. Trudging down a steep, muddy Andean path in the hail and wind was harrowing, but Nicholas assured us the horses were very experienced. My horse, Talque, seemed to have no problem, ambling lazily and stopping to snack on an obliging patch of weeds now and again. 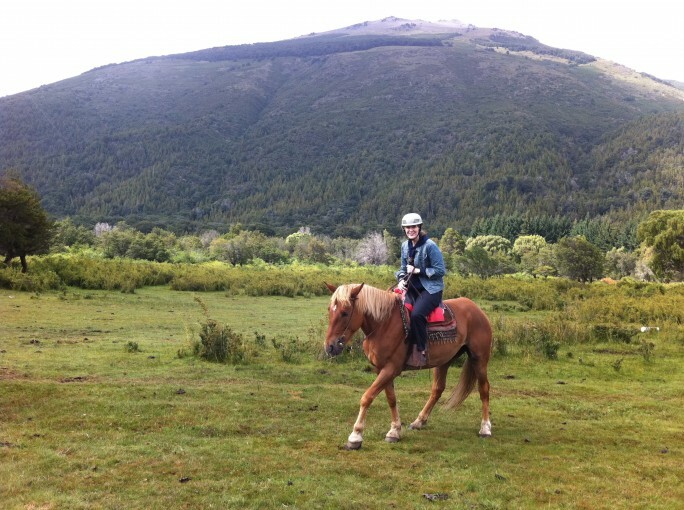 I on the other hand grasped the saddle until my fingers froze into the shape of the horn. Eight hours after we set off, the four wet and weary adventurers-turned-comrades in the face of adversity huddled in front of a roaring fire back at the lodge. We drank a warming glass of malbec wine and made plans to meet up for dinner later that evening. On second thought, maybe my birthday wasn’t so pitiful after all.